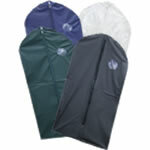 Protecting your garments with a garment bag is so important in our extreme climate. Imagine buying a suit, and then not having a suit bag to protect it on the way to your car. 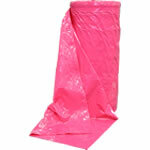 How about a wedding gown, it needs protection from a quality bridal gown bag too. 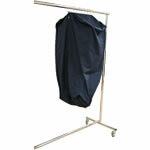 And don't forget about tailors and alteration, for that we have a plastic garment bag roll, in either thin dry cleaner bag weight, or heavier, quality poly garment bag roll weight.